Manchester United midfielder Paul Pogba reportedly wants to take on the shirt number of Andres Iniesta if he moves to Barcelona. 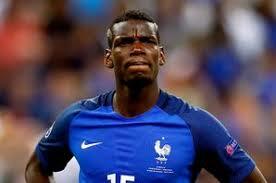 Pogba left Juventus to re-join United in the summer of 2016, and despite scoring six times and registering 12 assists last season, the midfielder’s form was indifferent. The 25-year-old is believed to have held ‘secret talks’ with Barcelona over the last few days amid suggestions that the World Cup winner could be heading for Spain. United are unlikely to sell at this stage of the summer transfer window, but according to Calciomercato, Pogba is enticed by the prospect of taking on the number eight shirt which Iniesta left following his move to Japan at the end of last season. Pogba still has three years left to run on his contract with the 20-time English champions.